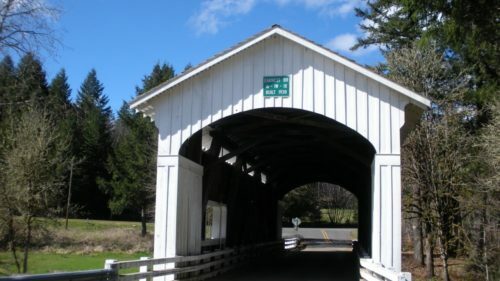 There’s a distinct charm to a covered bridge. 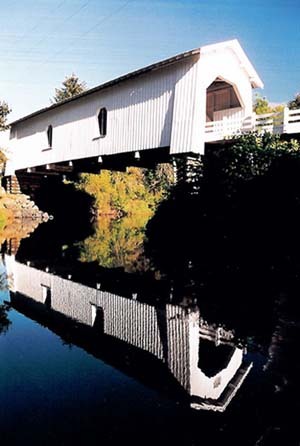 The sound of rushing water echoes off the walls, sunlight slants in through the windows and the traditional Howe’s truss construction draws your eye to the pitched roof. 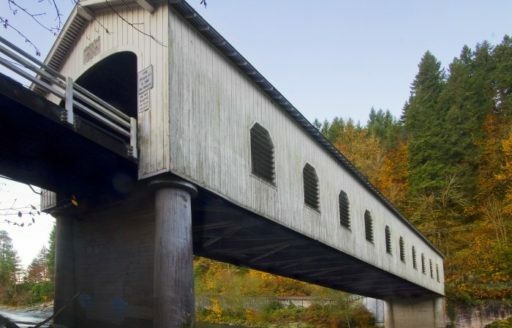 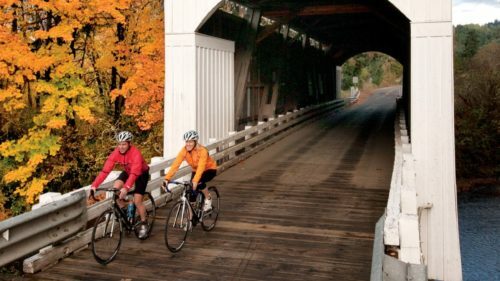 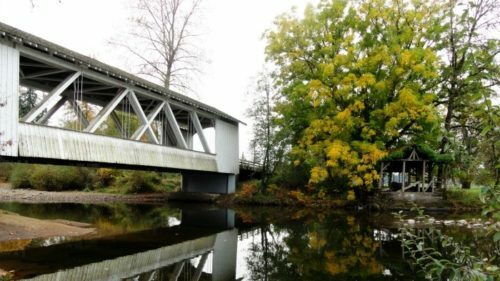 Today, 50 of Oregon’s historic covered bridges remain — the largest concentration in the West.